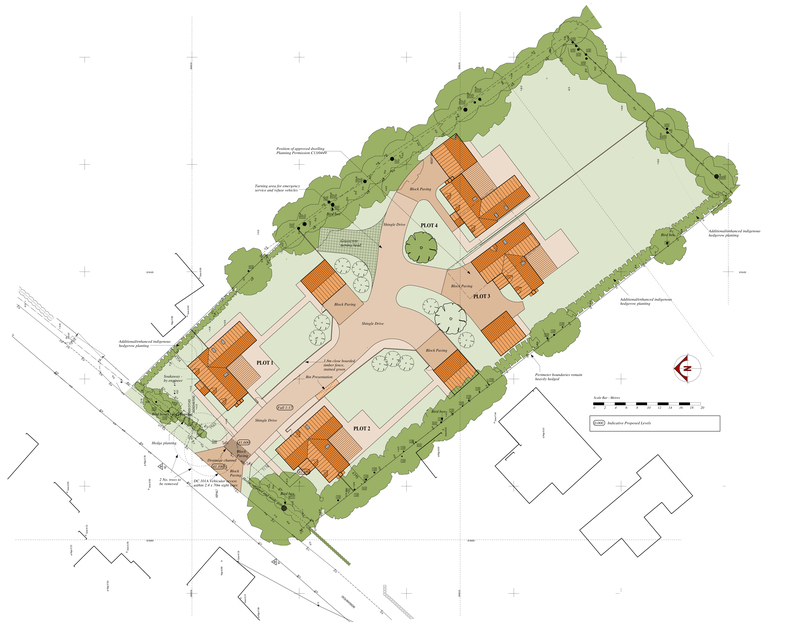 Development of four, one-and-a-half storey, chalet style dwellings with associated vehicular access and garaging. The scheme is based on two house types across the site, each plot is individually tailored with variations to materials and site orientation. The layout is designed to give an attractive road frontage. The layout included two dwellings, plots 1 & 2, fronting Badingham Road, matching the character of the existing housing with a central drive between them, giving access to three dwellings and associated garages to the rear. The design and scale of the buildings are in keeping with the scale of the surrounding housing using a selection of quality materials.